A New fun chew toys for cats. 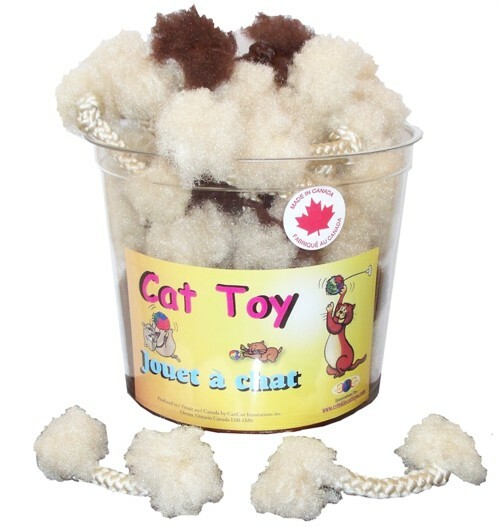 With a knot at each end, this toy leaves just enough room for any cat to get a good grip, and carry the knotty around all day long. Cats are intrigued and excited when they see this toy! They attack it with all their strength. With new stylish earth tone colors, the knottys are sure to match any décor. A sprinkle of catnip is a fun surprise.